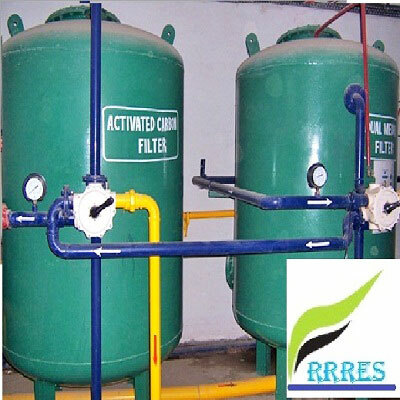 We are counted amongst the well-known Water Softener Plant Manufacturer and Supplier in Chennai, Tamil Nadu. The range of Water Softener Plant that we offer is available in different models, configurations and capacities. In the making of Water Softener Plants, we use the highest grade materials that ensure sturdiness and durability. Besides, our Water Softener Plant is acclaimed in the market for cost efficiency and consistent functioning. Clients can avail Water Softener Plants from us at the most affordable prices. Service cycle : The hardness forming salts Ca & Mg are converted to Sodium ( Na ) salts. The softening resin exchanges Ca & Mg ions from raw water & replace it with Na ion in soft water. After specified quantity of water, the resin gets saturated with Ca & Mg ions. Regeneration : Sodium salt ( NaCl) is injected into the resin bed. The Ca & Mg ions are once again drained out & resin is re-charged with Na ion, ready to give us another service cycle. Lots and lots of scrubbing - No matter how hard you scrub, lime scale and water marks will keep coming back. Lime scale removers are costly and only give you temporary results. Damage to boilers and plumbing system - The build-up of lime scale in boilers forces them to work harder and less efficiently and are a major cause in the breakdown of taps, boilers, central heating systems, washing machines and dishwashers. Dry and itchy skin and dull and lifeless hair - Bathing in hard water can make your skin feel dry and itchy afterwards and can leave your hair feeling dry without any shine. Showerheads and taps clogged with scale - Showerheads can easily clog up with scale and lose their effectiveness, which means constant cleaning and frequent replacements. Dull and lifeless glassware - After washing your glassware in hard water and leaving them to dry, You will notice how dull and lifeless they look with little or no sparkle. Save Money - You can save up to 50,000 per year on cleaning products (as soft water makes them go much further), central heating and plumbing maintenance costs and up to 10% of energy bills by making your heating system more efficient. Less cleaning - You can keep your kitchen, bathrooms and shower rooms looking pristine for much longer than usual and say goodbye to stubborn water marks on shower screens, tiles and worktops, taps and soon. Softer and smoother skin and silkier hair - You can make your skin and hair feel great and a difference you will notice instantly. Bathing in soft water is a luxurious experience and become and even better place to unwind and relax. Water softeners are also proven to help people with eczema and psoriasis and other sensitive skin conditions. Alleviate eczema and dry skin conditions - Eczema, psoriasis and other skin conditions are helped greatly by soft water. Many of our customers use water softeners for these reasons and the vast majority report less itchiness and need to creams. Make your glassware sparkle - Make your win glasses and glassware sparkle. Water Softener Basics - Our water softeners use a process called ion exchange, which exchanges (or removes) calcium and magnesium ions, which cause scale, for sodium ions which make your water soft. The softener contains a bed of resin beads which hold sodium ions. On the water softener begins through backwashing and a down flow flush to drain. 250 LPH to 5,000 LPH - The Residential Softeners is a manually operated ion exchange unit designed especially for residential use. It is simple to operate, inexpensive to maintain and is widely used in the apartment, villa, guest house, residential complexes etc. 1000 LPH to 50,000 LPH - Commercial & industrial Softeners are commonly used by all hotels, motels, laundries, restaurants and institutional facilities. Industrial Softeners are generally used for high pressure boiler feed water makeup, product blending and cleaning processes by manufacturing firms in the aeronautic, elec-tronic, chemical, petroleum, industrial manufacturing, and food processing industries, etc. Many commercial, indus-trial and service operations will find these water softeners both practical and economic for their use. Air Conditioners and Cooling Towers - Work more efficiently, don’t plug up with hard water deposits. Boilers and Water Heaters - Cost less to run, heat more efficiently, have less down time, last longer. Plumbing Systems: operate at full flow, get fewer leaks, have longer life. Eliminates Hard Water Deposits - from finished products, process reactions, rinsing and cleaning operations.